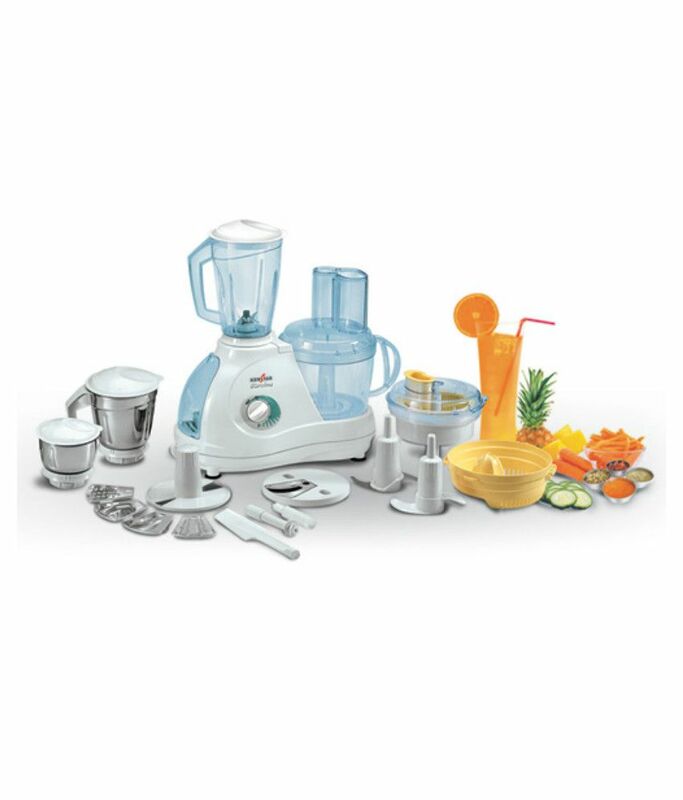 This Kenstar Food Processors Centrifugal and Citrus attachments are perfect for making juices rich in nutrition. Juice anything from apples and pineapples to carrots and oranges. Razor Sharp Stainless Steel for grating Carrots, Radish, Cucumbers, Cheese and more.The Whipper, made from special ABS virgin plastic, can be used to whip eggs, curd or cream. So you can prepare mouth-watering delicacies like soufflés and cakes everyday. This technology includes a sensor that switches the machine off automatically, in case of any overload. To Recieve updates and possible rewards for Kenstar Karishma Royal please sign in. To Recieve updates and possible rewards for Food Processor please sign in.